A link to the excellent social history plumstead-stories website has recently been added, apparently the author is now preparing a further book to add to the existing two volumes currently in print, and welcomes stories and photos from residents of the hill. Unfortunately I didn’t get this in before christmas as it would have made an excellent present. Shooters Hill features quite a bit on this website, and I actually found the photo of the prefabs on oxleas meadow that adorns the header of this site whilst rummaging around the stories there. Amongst many other interesting things there’s also a nice photo of the ve day celebrations on donaldson road, which looks quite spacious without all those cars cluttering up the place, and a rather astonishing aerial photo of the destruction caused by four V.1 bombs around Wrottesley Road, Adamston Road, Barnfield Road and Eglinton Hill/Herbert Road. 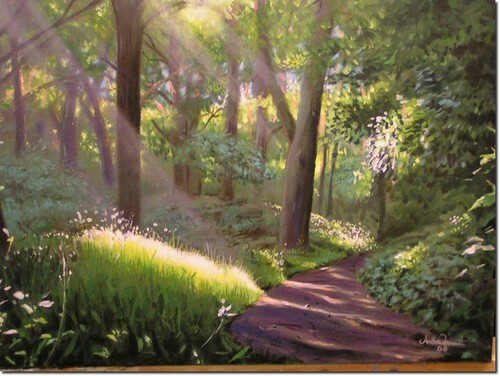 evening, whilst also exercising. The classes are taught by B.A.T.D qualified teachers with over 10 years of experience. Apologies for lack of posts lately, there have been some bots on the site that needed dealing with; for now comments are off. To make matters worse i’ve been trying to write a post about party politics on the hill without being in any way political… tricky, and probably best avoided altogether, still, when it really matters, the people of the hill have a good record of stopping interfering leaders in their tracks, or should that be motorways. 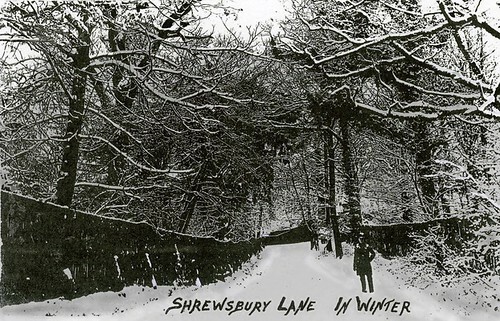 Anyway, I was recently honoured to receive a set of historical documents and photographs, including this little snow scene – although I’m not sure whether it might actually be the part of Plum Lane where the park now faces the old decontamination lodge?